EDGAR filing deadlines can be unclear and are a moving target depending on when holidays and weekends fall. 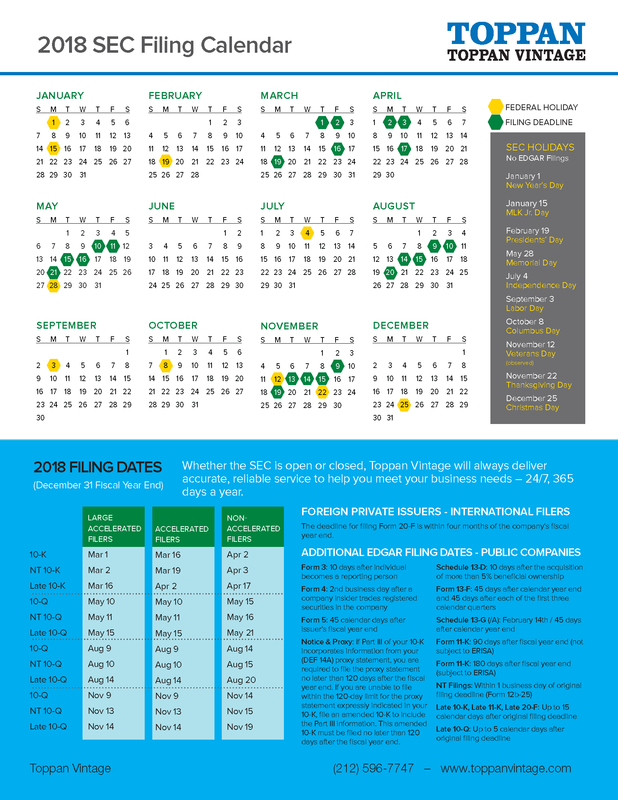 Now you can easily view your company's SEC EDGAR filing deadlines with Toppan Vintage's 2018 SEC Filing Calendar. For December 31 FYE companies.